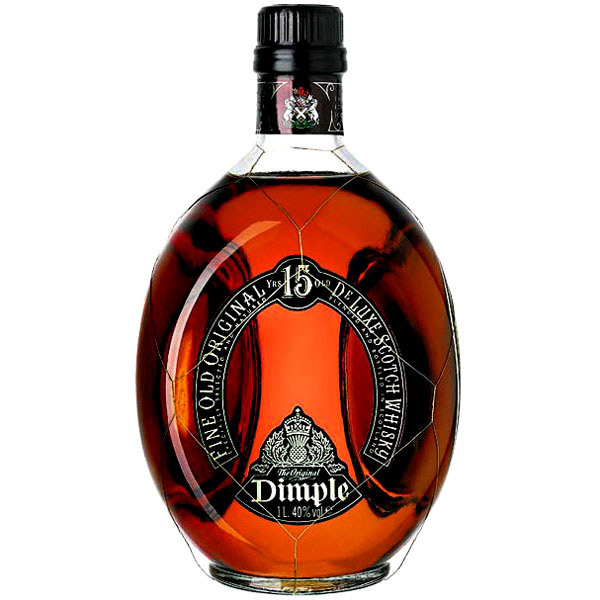 Dimple is a deluxe blend of Blended Scotch Whisky and another of the worldwide brands being the fourth biggest seller. Known in the USA as ‘Pinch’ after the unusual pinched triangular shaped bottle it contains a higher than normal percentage of malt whisky, including ‘Glenkinchie’ and ‘Linkwood’. Created by the Haig dynasty who were the first recorded distillers in Scotland in 1655 no less.